ABB has created a global network of third-party companies to sell, service and support its drives and motors products. In the UK, this network of Authorised Value Providers (AVPs) will supersede the 15-year-old Drives Alliance and Motor Service Partner schemes, although most of the companies involved in the earlier schemes will also be part of the new network. At the same time, ABB has announced that its latest generation of drives – the ACS880 family (below), first seen at the SPS IPC Drives show in Germany in late 2010 – will now be available officially in the UK for the first time. Although there are already some ACS880 installations in the UK, the company has been waiting for the family to be enlarged before launching it here formally. Since its debut, the ACS880 family has been extended considerably and now covers a wide power range and offers a choice of formats. Future extensions will include water-cooled versions, regenerative models and low-harmonic variants. Steve Hughes, ABB’s Northern European channel manager, emphasises that the AVP network is not simply a change of name or a repackaging of an old idea. The barrier to entry for partner companies has been set very high, he says. They need to have a “heritage” in drives and motors and must meet minimum criteria for staff levels and training, and for workshop and training facilities. They must have dedicated internal and field engineers, and must carry agreed levels of stock (in ratings up to 500kW for both VSDs and motors). Company personnel must also complete specified training courses and pass exams. The 23 companies involved so far constitute the “largest motors and drives specialist network” in the UK, Hughes adds. Between them, ABB and its partners will have around 100 specialist drives and motors engineers in the UK. Over time, the network will be extended to encompass other ABB technologies, such as robotics. Because the network is global, customers will get the same level of service and support worldwide. There are already around 250 authorised partners around the world and “more are joining all the time,” says Hughes. ABB expects this global coverage to appeal, in particular, to UK OEM machine-builders that export. The services offered by the AVP partners will cover the entire lifecycles of drives and motors, and include services such as energy and productivity appraisals, installation and start-up, and preventive maintenance. 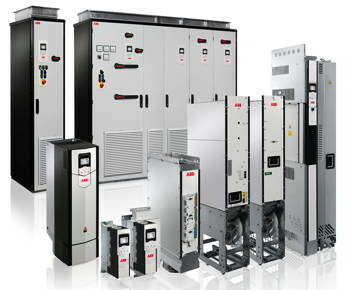 ABB cites several reasons why its partner network needed to evolve, including: an increasing customer demand for outsourcing; a growing interest in packaged systems; the emergence of advanced product technologies; the expanding array of engineering tools; and the increasing impact of legislation, regulations and directives. “The Authorised Value Provider brand demonstrates the way business has changed over the years to meet the new challenges of the global and technology-driven economy,” says Neil Ritchie, manager of ABB’s drives and controls business in the UK. He points out that AVPs will have access to “a huge array” of engineering and business software tools, training programmes and advanced logistics networks for getting products and support to customers on time. Most of these were not available when the original drives and motors networks were created in the UK. “It is now time to harness these tools to harmonise and streamline our business to ensure we operate faster, more efficiently and seamlessly,” Ritchie declares.